For demanding gamers, initial excitement upon procuring a Nintendo Wii was quickly dampened by disappointment: the durned Wiimote wasn't nearly as precise as we'd all hoped it would be. It took a couple of years for Nintendo to step up and fix the issue, releasing the MotionPlus and finally making the Wiimote work for sword-fighting games and the like. But, that left us all stuck with a dongle hanging off the bottom, causing compatibility issues with many early peripherals. The Nyko Wand+ is the solution, putting the MotionPlus right inside a stock-size controller, as it should have been in the first place. In some ways, it's better than first-party. Be the first to review the Wand? Coming out of the box it's hard to not think of the Wand+ as looking like a KIRFy Wiimote. The dimensions are nearly identical, really only differentiated by the cheeky square buttons. However, Nyko can be excused here. 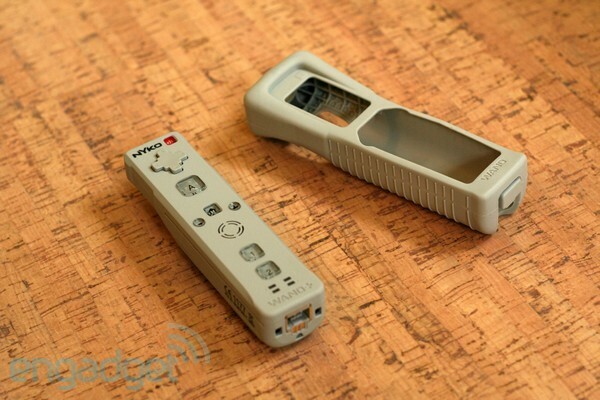 There are a number of peripherals into which the Wiimote slides, meaning any deviation from the stock shape would cause compatibility headaches. So, the Wand+ matches it perfectly, right down to the millimeter-thin groove up each side. The plastic has been given a subtle satin coating that feels nice in the hand, while the battery case has a ribbed rubber backing like that found on Nyko's rechargeable battery pack. On the front the power button has been curiously moved from left to right, which will cause some confusion, and the main buttons (A, Home, 1, and 2) are all square and slightly larger. This is a minor difference, but it actually makes the A button much easier to find. That's an improvement, but the D-pad is not, feeling softer and mushier than stock. The Wand+ is ever so slightly heavier than a solo Wiimote, but slap a MotionPlus on there and the Wand+ is naturally much lighter. Still, it's fully compatible with accessories like the Nunchuck and even aftermarket battery packs fit in there perfectly. What doesn't fit so well is Nyko's janky rubber protective shell, which isn't made of nearly the same quality stuff as Nintendo's. Still, we prefer our controllers au naturel, so that's hardly a bother. We popped in Wii Sports Resort, the de facto proving ground for the MotionPlus, and started with a game of swordplay -- stock controller in one hand and Wand+ in the other. 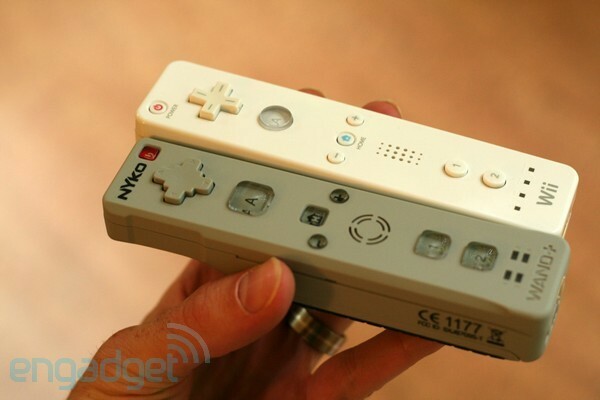 Nyko's offering matched the precision of Nintendo's, handling every twist and turn of the sword precisely. After finishing there (yes, we managed to win) it was time for a few rounds in Tiger Woods 2010. The Wand+ didn't fix our slice, but it did equal the stock controller's precision. We also noticed the tiny, built-in speaker is a bit easier to hear on Nyko's than on Nintendo's. Honestly, though, the clarity is miserable on both. A stock Nintendo Wii controller is $40. If you want MotionPlus you'll need to pay another $25, or you can get a bundle with both for $55. The Wand+ is $40, no MotionPlus required, and we shockingly have to conclude it is equal to or superior than the stock Wiimote, really only disappointing when it comes to the D-pad and that crummy looking rubber condom. 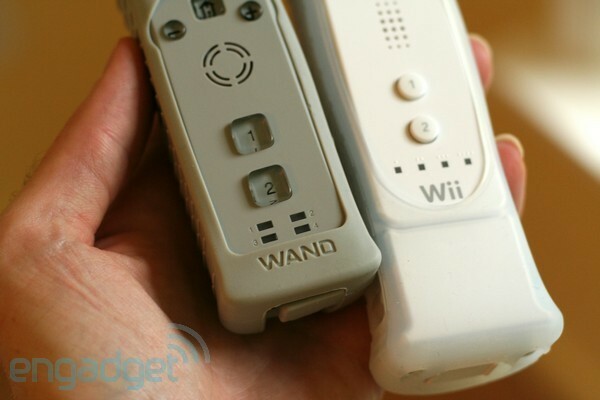 This isn't so good that you should consider ditching your stock controllers and upgrading (unless you really hate dongles), but if you're looking for another Wiimote we wouldn't hesitate to recommend the Wand+. Oh, and if you don't like the gray, it's also available in a rather better looking black.